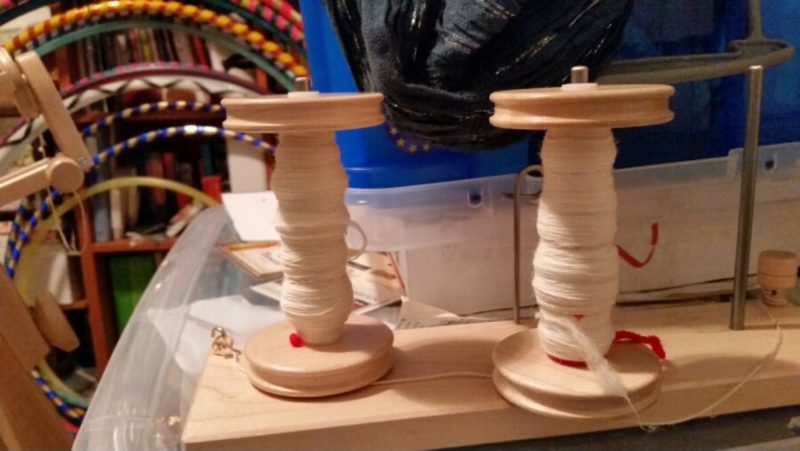 It took me a few minutes tonight to get settled down when I started my spinning. Long, busy day at work, and too much to do this evening at home. But nothing keeps me from doing this, my spinning practice, every day. I finished the second bobbin, so tomorrow I’ll start the third.